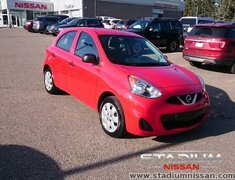 If you are looking to buy a pre-owned vehicle, Stadium Nissan is the dealer for you. Our experienced team is here to ensure your satisfaction with a large inventory of certified cars and several attractive financing solutions. Known for their reliability, Nissan pre-owned vehicles are a sure bet for those looking for the perfect pre-owned truck, car, or sport utility vehicle. 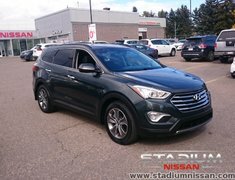 And if you are in the market for a pre-owned vehicle in Calgary, Alberta, you can trust Stadium Nissan. All of our pre-owned vehicles are inspected by our expert team of experienced technicians to ensure they meet our stringent quality standards. When you come into Stadium Nissan, you will be treated with respect, and our dedicated team of pre-owned sales representatives will take the time to listen to your needs and make sure we understand your expectations. We are then able to find the perfect pre-owned vehicle for you and your family that will respect your budget. We have a huge inventory of pre-owned Nissan models to choose from, as well as quality pre-owned cars, trucks, and SUVs from other brands. 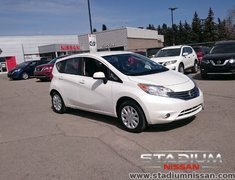 Stadium Nissan also makes it more affordable than you think to buy a pre-owned Nissan vehicle. With low interest rates, great discounts and flexible financing plans, your pre-owned Nissan is closer than you think. To learn more about our pre-owned Nissan inventory, you can browse our website or schedule a meeting with one of our sales representatives by contacting us at 1 844 757-6692, or online using our contact form or chat service.